Not that there’s anything wrong with it. The very picture of a Mexican paradise, it’s true that Cabo San Lucas has it all: gentle waves, sloping white sand beaches, “Coco Locos”, and warm water. It’s just that after a few weeks of almost solitary beauty, we knew that Cabo San Lucas would be a bit more, um, busy than we were used to. And, yes, we expected sun burnt tourists, beach hawkers, and banana boats. However, the juxtaposition of the natural beauty of Lands End in Cabo San Lucas, where the Pacific Ocean meets the Sea of Cortez, and the raucous pre-Spring Break scene unfolding in front of us made our foray into the Cabo beach scene short and sweet. It also made us so very grateful for our next destination as we headed north to the artsy town of Todos Santos where we stayed close to the beauty of the desert and the ocean while also feeling far, far away from the all-inclusive vacationers. When you think of Todos Santos, Hotel California, hippies, and surf breaks come to mind. Our journey led us to this pinpoint on the Baja California Sur map because of friends and turtles. We should have also expected grandparents, surfing and boogie boarding, and continuing the search for the best taco stand on the peninsula. We learned about Olive Ridley, Leatherback, and Black sea turtles, answered questions about why the nests were in the greenhouse (to maintain a constant temperature to ensure hatching) and other queries, drove the ATV up and down the coast, searching the beach for nesting turtles at night, watched the nests during the day for emerging turtles, and helped with the tiny turtles’ nightly release into the mighty Pacific. All of this while also hanging out with our friends and family. Each day after volunteering at Tortugueros Las Playitas, we packed up with cooler and the car and set out for the beach. Kiran, Kavi, and Indi are ready to go! La Esquina is one of those gems you just happen to discover and don’t want to give up. Other than amazing breakfasts/lunches, every Wednesday, they host a market for local artisans to sell everything from jewelry to organic fruits and veggies. La Paz, upwards and onwards! After spending 10 glorious days with our friends in Todos Santos, and with too many belly laughs to count, we said au revoir and drove northeast to La Paz. We booked the top floor at Las Gaviotas Bed & Breakfast and enjoyed homemade breakfast in the morning, had the pool to ourselves, caught up on laundry, and couldn’t beat the proximity to the beach and malecon, just a block away. **Swimming with the mighty whale sharks. This was crazy fun. After spotting the tiny dorsal fin of these ginormous sharks, we jumped off a boat in our snorkeling gear and swam to meet up with for a swim alongside these amazing creatures. The first time was scary. We met the sharks head on and then started hyperventilating. By the time we got it together, the whales were gone. The next jumps were better and we were able to swim in-between two of the three sharks as they were leisurely basking for plankton. We would fly to La Paz in a heartbeat, just to have this experience again. We browsed all of the beaches before settling on Puerto Balandra for one day and Playa Pichilinque for another. We snorkeled, paddleboarded and kayaked to sea lion colonies and to secret beaches, and floated like jellyfish in the clear waters of the Sea of Cortez. Your mother may have warned you to never try seafood from a street vendor. That’s why we had to take mom to try the chocolate clams. Although wary at the time, when the next day came around and she was intestinally healthy, she wanted more! After a month and a half of tacos, we had a hankering for pizza. Harkerboard, a SUP rental place by day and rooftop restaurant by night, hit the spot. A big bonus was trying the local microbrewery’s IPA. Who wouldn’t want to look this good? After four glorious days, the grandparents flew back to Oregon and we started our trek up to the United States. All in all, our time in Baja was magical and inspirational and we would wholeheartedly recommend driving the peninsula or flying into a major city and renting a car to get a better idea of how much this peninsula has to offer. We all agree that Baja has now joined our top five favorite places in the world–no easy feat! 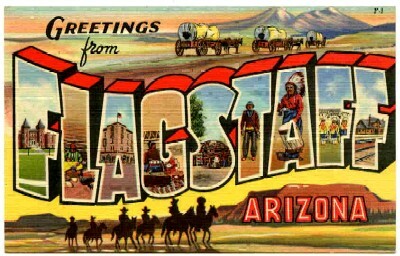 Next up: Spring Training in Arizona, white sands, missiles and a root canal in New Mexico, and caving in Texas. 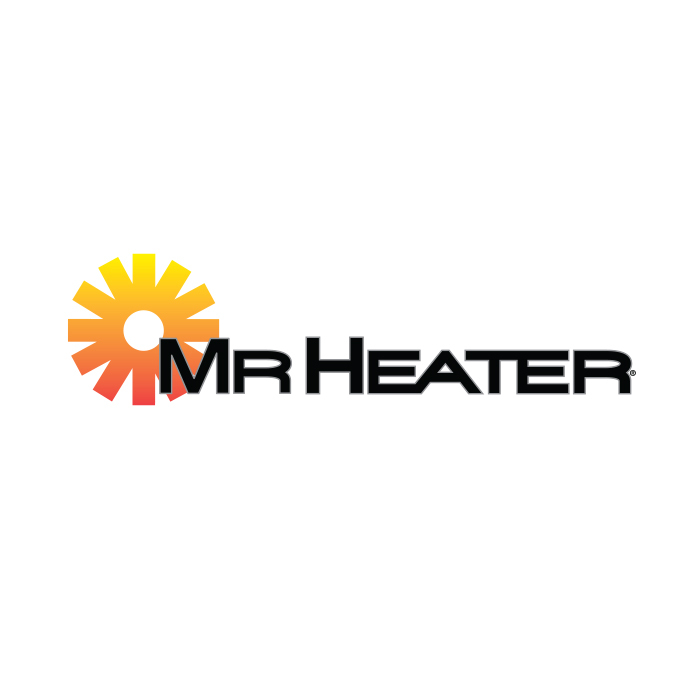 Oh how we love you, Mr. Heater. You’ve brought warmth and comfort to us on the chilliest Autumn days in our very poorly insulated and increasingly holey Trailblazer. Although gassy at times, the stink is worth the heat. We also have Next Issue for the magazines we can’t live without–such as Jason’s growing love affair with Sunset Magazine. We couldn’t–comfortably–live without out very lovely chairs that transform from breakfast nook in the morning to fire and stargazing most nights. Indi chose a bungee cord chair while Jason and Wendy opted for the high-backed version. Transformer. Not only is this bad boy a sturdy 48″ table that doubles as a kitchen counter, but it also folds in half AND has a handle for easy carrying and storage. 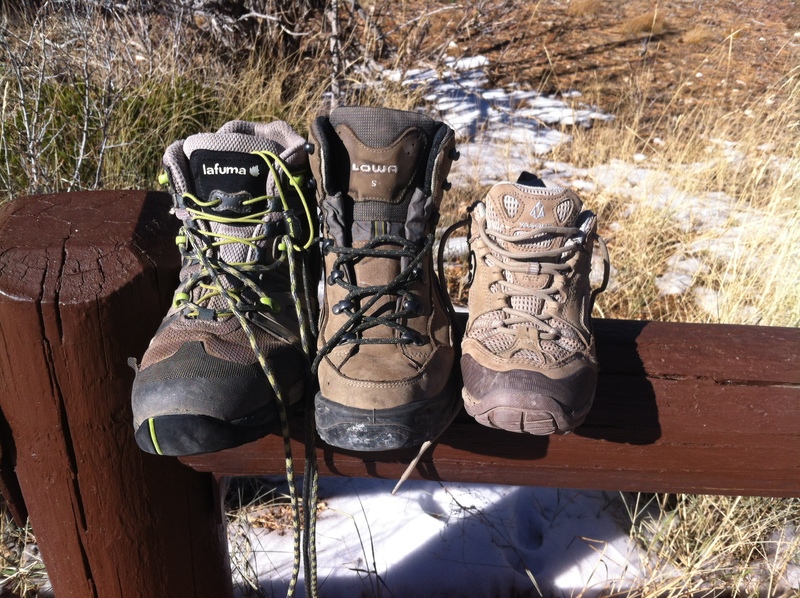 We hike, on average, five times a week and solid boots are a must. To tell the truth, all of our other shoes–other than flip flops–could, should have been left at home. Jason and Indi got their boots second hand at Next Adventure in Portland and Wendy got her boots–new–at REI. So far, and although Indi doesn’t love hiking quite as much as her parents do, there have been no complaints from the knee down. This was a sweet little find in the Casper, Wyoming Salvation Army. As the season wound down and campgrounds whittled away the amenities, we used this container more and more since water was less and less available. Sleeping on the stock Jayco mattresses for a night or two is just fine as the knots and kinks are resolved with time. 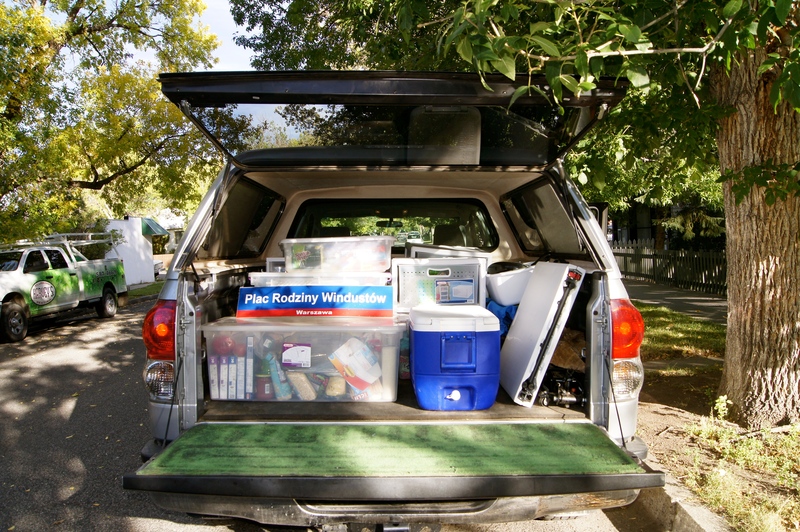 However, the thought of months and months of sore backs and sleepless nights sent Wendy searching for a thin (so that we could actually close up Trailblazer) but effective mattress pad. Eureka! The Simmons Beautyrest BigSleep 3 Convoluted Foam Topper with memory foam. Here’s the math: Each national park entry is–on average–25 USD. 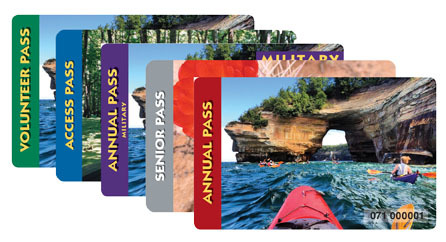 The park pass was 80 USD for all the national parks in the States for one whole year. So far, we have been to 13 parks with many more to visit this year. Money well-spent. Flashlight, reading light, coyote spotter. Enough said. 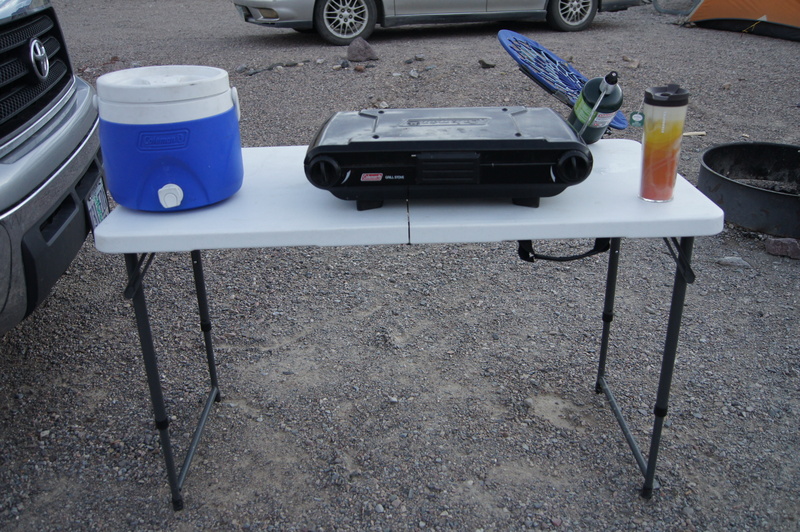 For a few years now, the Jet Boil has been a backpacking staple. Currently, we are equally devoted to it as caffeinated campers. A bonus is that it’s small enough to use inside Trailblazer on chilly mornings (even though the directions warn us not to). Bath in a bag. Not only have these wipes helped us to feel okay about a lack of real showers + close living but, we will keep these little babies in mind for multi-day races, too. Over the last three months, we have found that we have too much of just about everything and will narrow down our packing lists for the next leg of our journey, starting in January. It does feel like the beginning of something transformative, something that will stick. Stay tuned for the next post in “tiny living”: the top 10 things we didn’t actually end up needing, or will revise/upgrade to better suit our needs. . .
Be forewarned, this will not be a glamorous blog post. No photographs of stunning natural beauty or attempts to describe wildlife sightings. This post is about real life on the road. Just like your life, there are some good things, and some not so good. Showers… apparently you can go days without bathing and not have any serious health problems. However, we do go through a lot of baby wipes. This just might fall on the “con” list for Wendy, I guess its just a matter of perspective. Blue semi-permanent die job, why not? Then there is our “tiny home” A few years ago we purchased a used tent trailer, a 2000 Jayco, dubbed “Trailblazer”. Originally we had planned on using it for a few camping trips each summer, not as home base for close to a year. With a little more foresight we might have gotten something a wee bit newer/bigger/nicer. Regardless, so far we have been happy in our little home, but are debating an upgrade for the second half of our year on the road as some small problems start to rear their ugly heads. Everything looks so nice and organized, doesn’t it (Indi did a great job labeling for us)? Well this is what it looks like right after we set up camp. After a couple of days of living in it, Trailblazer looks more like someone threw a grenade into a gypsy wagon, with clothes and all of Indi’s sparkly fabric (she has taken up sewing) strewn about. And yes, even with Indi’s curtain, “privacy” can be an issue. I would put this firmly in the challenge category, but this can be overcome with a bit of creativity (definitely in the positive category). We are discovering how little you really need to still be comfortable and are looking forward to our holidays back home in Oregon were we can shed some of the items we thought were so necessary before we left. While in bear country, not only did we have to set up and break down camp when we arrived and left, but after each meal all of our food, dishes, and stove had to be packed away in the truck or in the bear box. We try to break up our camping with stays in real houses, either relying on the generosity of friends and family, or Airbnb short-term rentals. This allows us a little time to get caught up on laundry, clean our trailer and supplies, and get some much needed grown up alone time. Anyone know what this is? A sink? A toilet? Nope, in bear country this is where the second class citizens (those of us not in RV’s with running water) do dishes since you aren’t suppose to have any traces of food anywhere in your camp. And what about entertainment? Thus far, our days have been filled with hiking and exploring whatever town we might be in. And once we settle back into camp… naturally, we have all been reading a lot more. Indi has taken up sewing and continues to enjoy her arts and crafts (mainly bracelet making and duct tape “stuff”), when Wendy feels like I need to be humbled, we play Scrabble (if my fragile ego can’t take another game of Scrabble, we’ll play Cribbage). One of my favorite pastimes is staring into the campfire. So hopefully that gives you a little taste as to life on the road. Don’t get me wrong, we do love it, and if you enjoy lots of quality time with your family I’d recommend it to anyone. I’m sure we’ll get better at it as the year goes on, too. More posts to come on cooking, setting up camp, and home schooling.